Mrs. Kennedy, and princess Diana was dressed in a suit also let a person feel different. 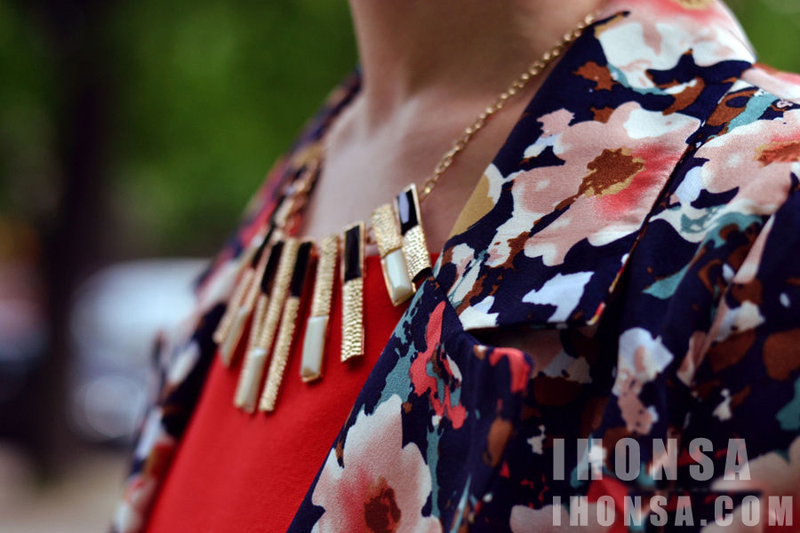 The IHONSA bring British fashion blogger Tina Sizonova wear model,Together To taste the unique elegance. And at the foot of the suede cusp shoe, then whispers the mature woman's delicate. 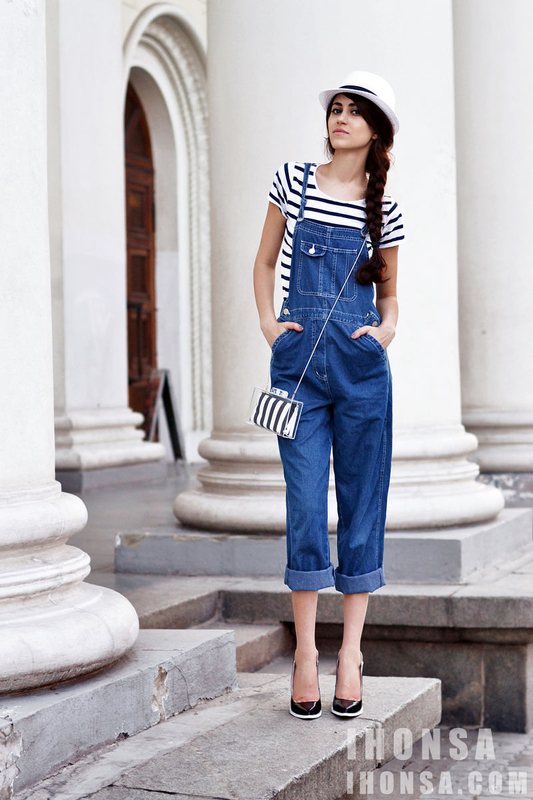 Black and white color of the shoes not only keep the overall look too young, and hats, T-shirts interaction. The transparent hand caught and necklace, enough to see the great taste. Handsome whole will not be changed, but also no woman flavour. thanks Diana.thank you for reading this post,i will always.in additon your blog is very nice,i have already follow you,thanks. I am very glad to hear you say so,thank you for read my blog.i will always.hope that you can continue love me. in addition your blog is very perfect,i love it and have alreay follow you.thanks. So your hair is pretty fabulous! Love all the looks - the black and white is on trend! 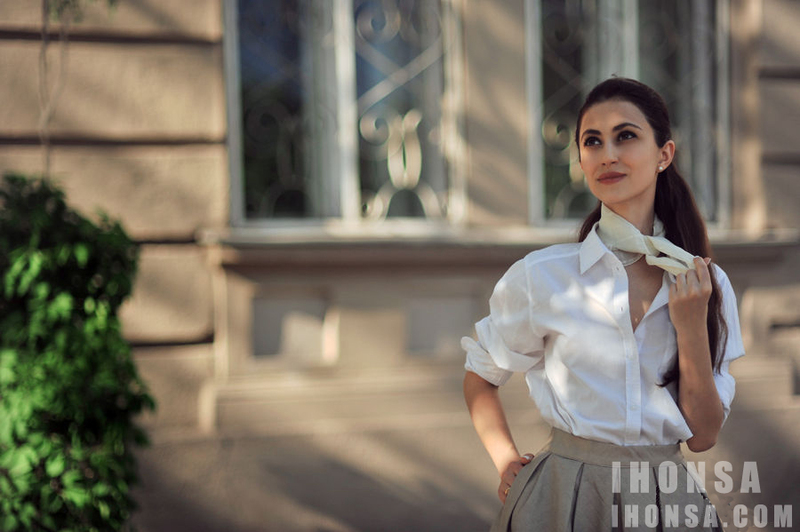 Thanks Marta Vodrey,The collocation of black and white is always the most classic. in addition petiteraisin.ca is perfect!!! By the way, you are have their own shops, selling clothes? I'm new follower! Very nice blog! thanks Veronica Vanini,VFP is perfect,you are very beautiful! If you don't mind, we can focus on and follow each other! i will waiting for you! and become one of the best friend each other!! thanks Anna Lei,I like your blog very much, but I really don't know where to follow you on your blog.can you tell me? I really hope that you can follow my blog. i will wait for you . thanks for read this post in my blog. i love you and your style very much.But I really don't know how to follow your blog. thanks Patricia G.i love your blog very much. i hope that you can continue follow me . your blog is very perfect!!! Thanks Beauty Follower,i will always. hope that you can continue follow me. Great Blog post and I love the style. I could actually see myself wearing all of these looks! And I love the pictures I wish I could take high quality fashion photos like this! Thank you Color U Bold,Thank you very much for you to say so,if you like ,i will always!! Wow,your blog is perfect and the clothes are beautiful!!! thanks,if you like,i will always.hope that you can follow me!! You are so pretty. You look good in all outfit. your blog is very beautiful and your outfit also look good. thanks Iffa Ardhiyana,thank you can read my bolg and love this post,i will always. hope that you can follow me.